Last week I told you how you can stay in Vietnam for a month or two. Today I’d like to speak on what you can do there. 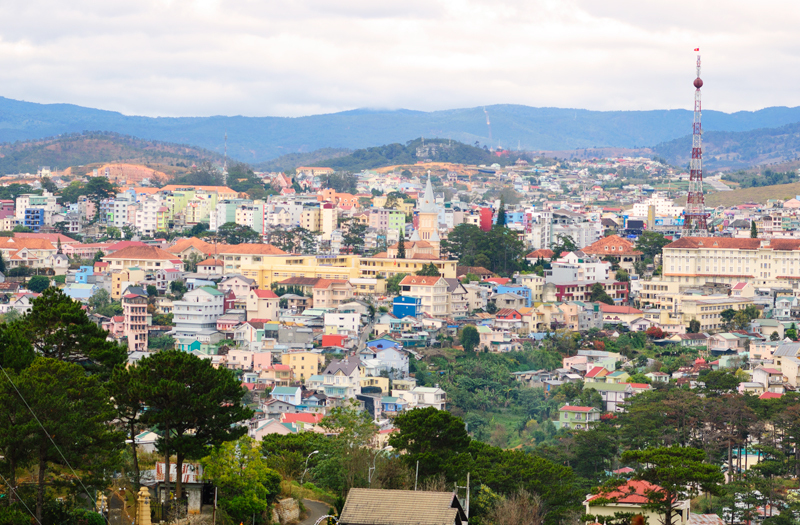 I lived only in one town for almost two month so I’ll tell you about this place – Da Lat. First here is some general information about the town. 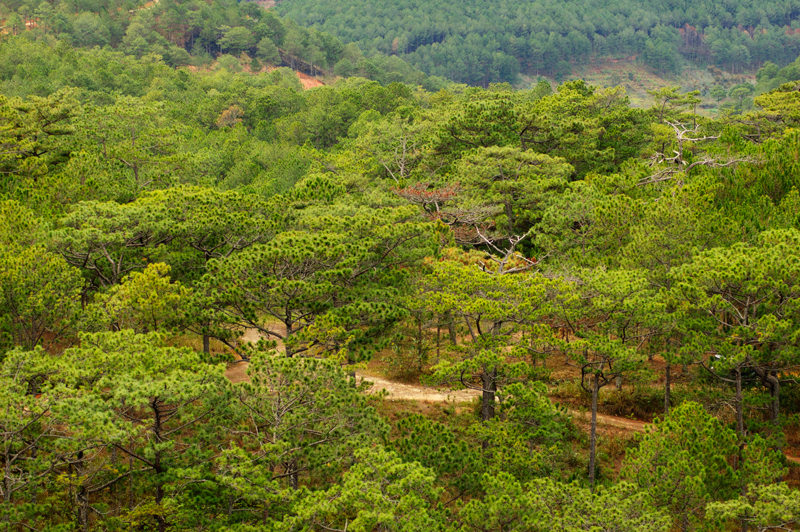 Da Lat is situated in Central Highlands of Vietnam. The climate is very mild there (in December and January the temperature was +20-25 in day time and +12-16 in the night). Not too many people live in the town and there are almost no foreign tourists in Da Lat. I prefer to call it town – not the city – ’cause it’s not big at all. 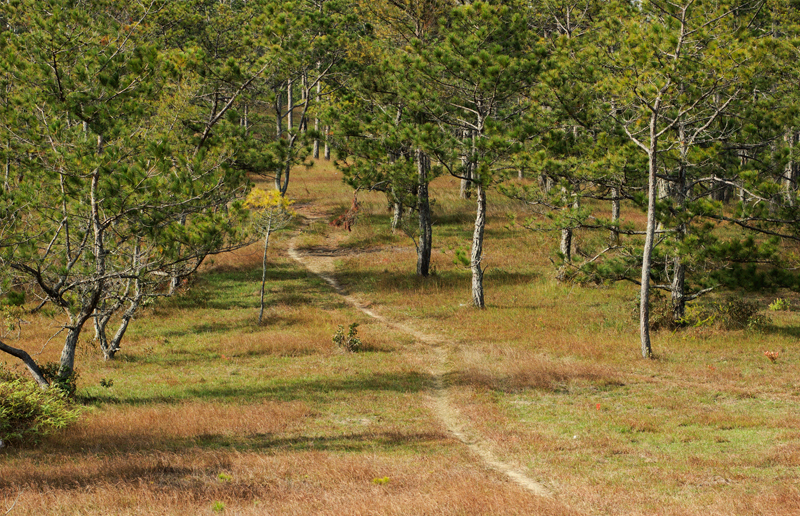 Living in a center of Da Lat me and my girlfriend could walk out of the town in 1-2 hours depending on a direction. Now lets talk on something specific. Below is a list of things that inspired me and made an impact on my vision of reality. I’ll be illustrating the list with pictures my girlfriend took. 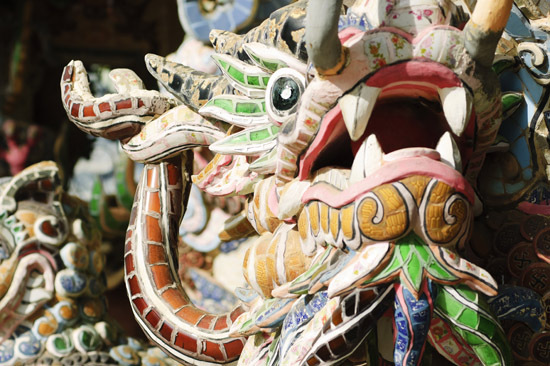 Vietnam was under Chinese influence for a very long time. 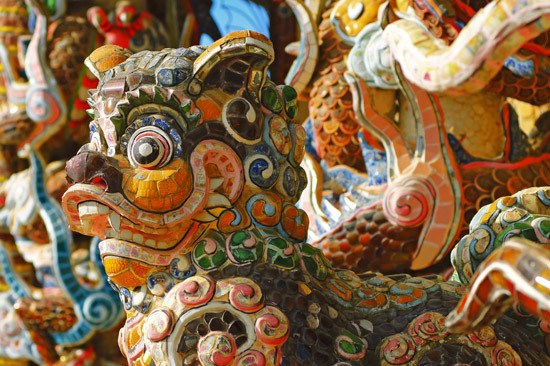 This is why Vietnam’s Buddhist temples are like the ones you can see in China. Sometimes these buildings are so highly detailed you can feel all the statues and creatures moving and talking to you. 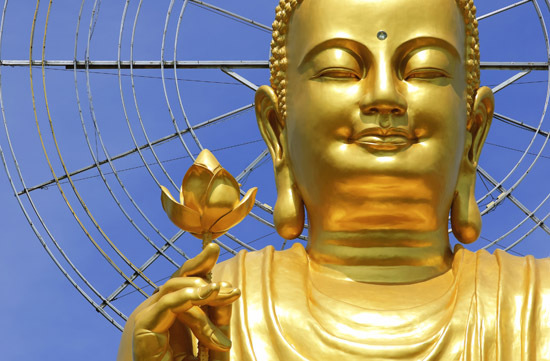 The ambient of Buddhist temples is very relaxing and enthusiastic at the same time. You can easily get lots of inspiration there. Unfortunately most of the monks don’t speak English but you can always try to communicate with gestures. 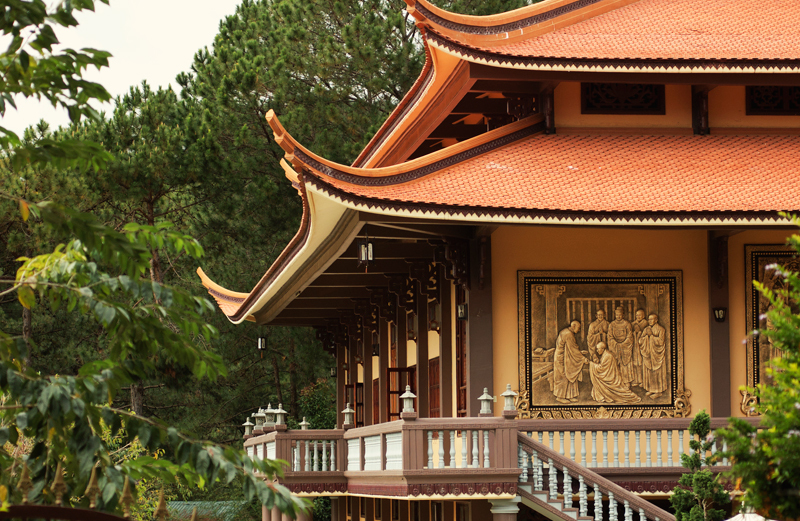 There are 2 temples in Da Lat and 2 temples in the suburbs I definitely recommend you to go from time to time. First one – Chùa Linh Sơn is located close to the center of the town. It is not very big but when you get there you are in a sort of sanctuary away from the noise of so called social life. 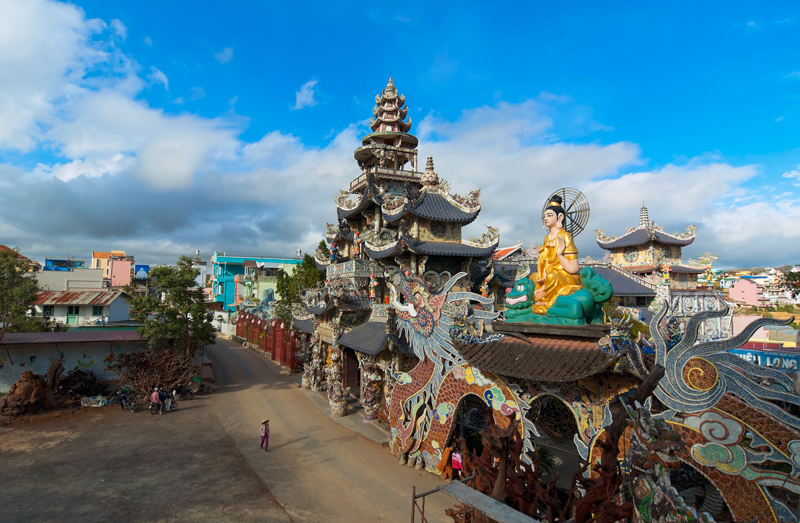 To get to one of the suburban temples – Chua Linh Phuoc – you can take a taxi or take an old school train (9-10$ both ways). The railroad is only 8 km long ’cause it was destroyed during the war in late sixties. I can not say the railroad is very picturesque but it fun to try it. The train takes you to a village. It’s only 3-5 minutes walk to the temples. This set of temples looked like a Disneyland to me – there were so many details! Some of statues where painted, some were decorated with mosaic, we could even see a guy working on new huge wooden statues. The last but not least place is Tuyền Lâm Pagoda. 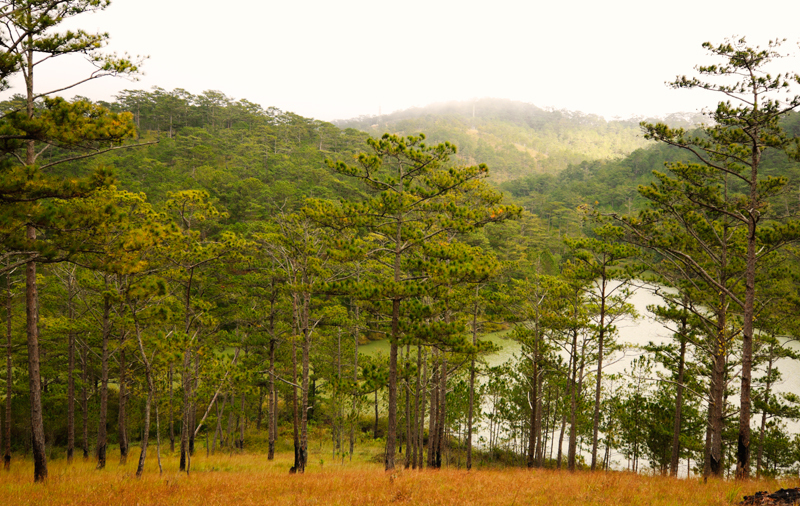 You should go South from Da Lat to get there. You can take a taxi or ride a cable car (7$ round trip). Cable car trip is really cool – it’ll take you about 5-7 minutes to get to the destination. 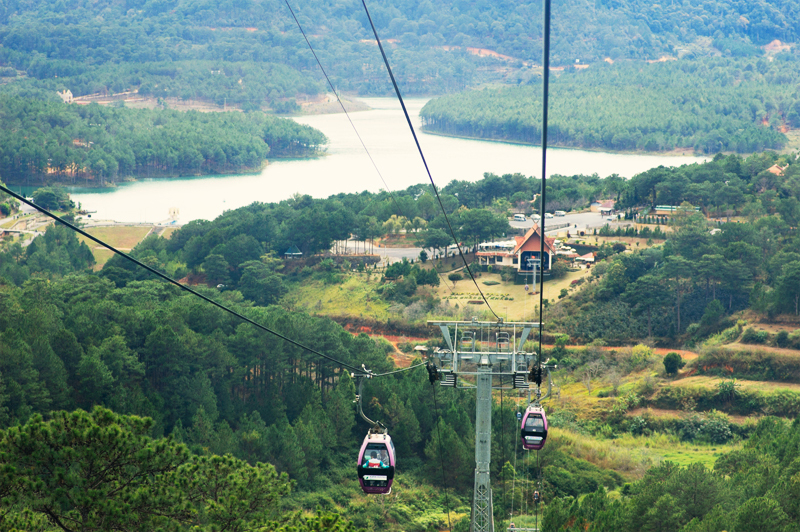 You’ll be riding above the pines and there will be a nice panoramic view of Da Lat. 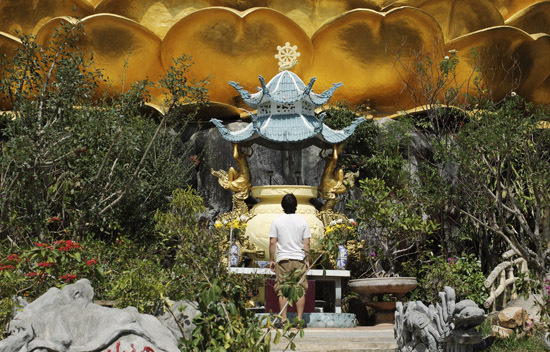 The set of temples you will see is among some sort of a botanical garden. If you continue descending you’ll get to the lake where you can go on a boat trip. This is a park with a nice landscape of mountains and lakes. It is quite a popular place locals (maybe ’cause the price is only 1$) and tourists go to but this should not scare you. Some parts of this place are to remote for most visitors to get there. There are no regular attractions, but you can feel yourself lost in time in space – half an hour ago you were in a Asian city and now there is no one around – just mountains and pines. It is really refreshing! 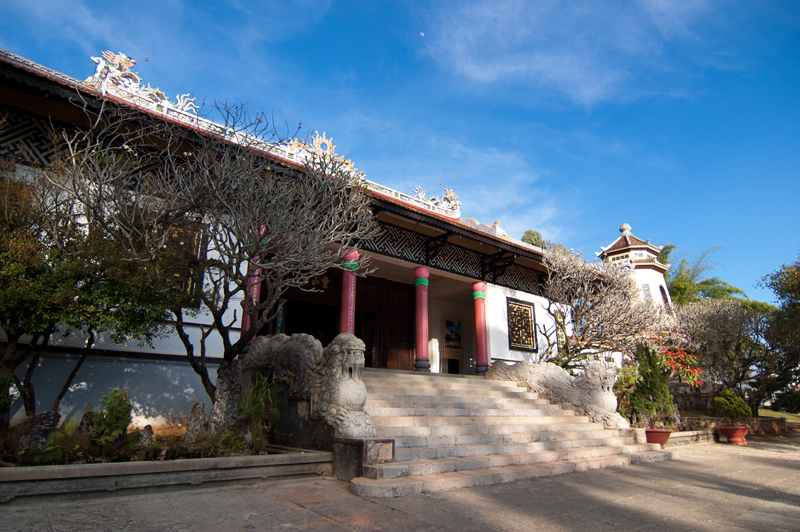 This place is 10-15 minutes taxi ride from Da Lat – about 10$ one way and entrance fee is 3$. It is similar to Valley of love but its design is focused on plants. 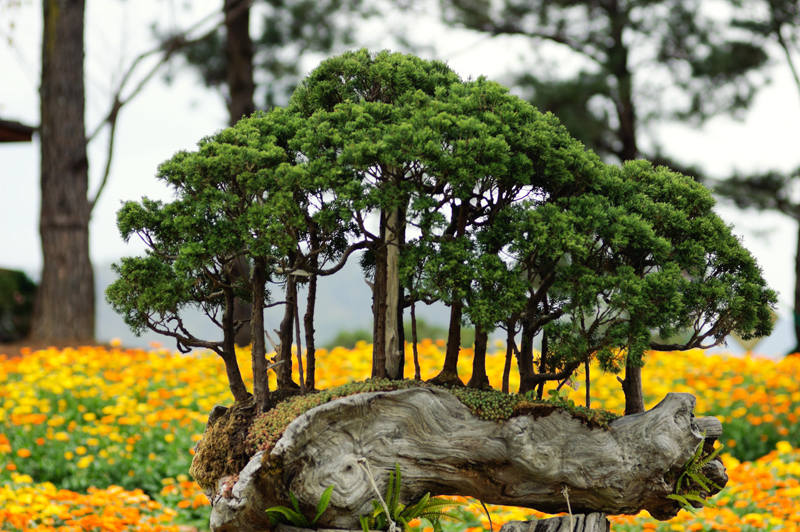 You can find different bonsai trees (I would better say tones of ’em) and lots of flowers there. The most exciting thing for me there were fish. First when you get to a relatively small pond you can see several fish swimming here and there. 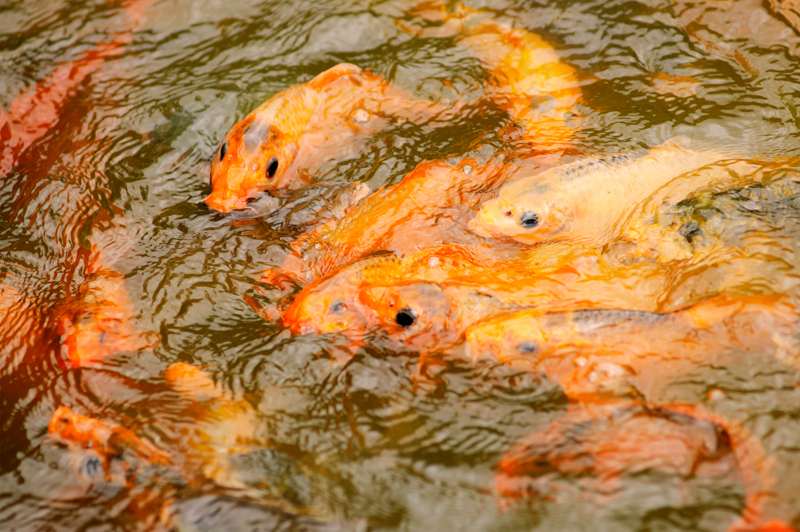 But after you buy fish food (0.25$ a pack) and start feeding ’em there is a quiet and bubbling mess of fish trying to get the food. I could never expect so many of them. 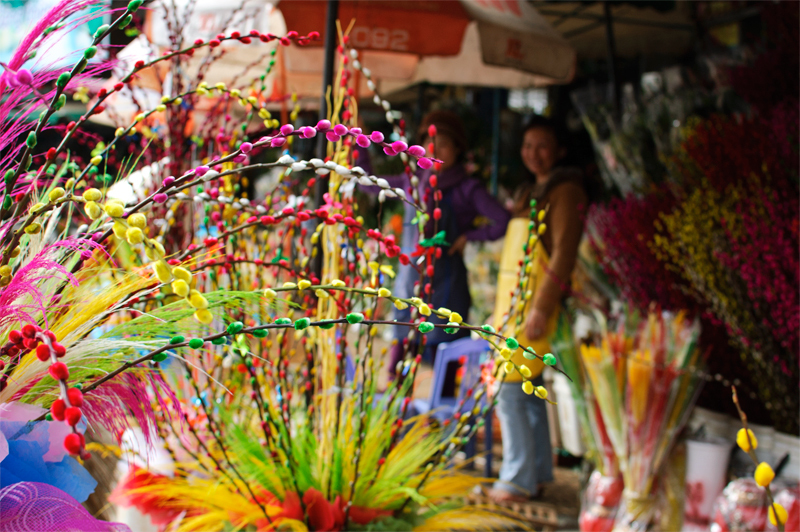 Da Lat is also called city of flowers. They are almost everywhere. Many people grow them and they are extremely cheap. You can buy a 10-15 bunch of chrysanthemums for only 1$. This means you can practice floristic experiments with a high quality and cheap stock. 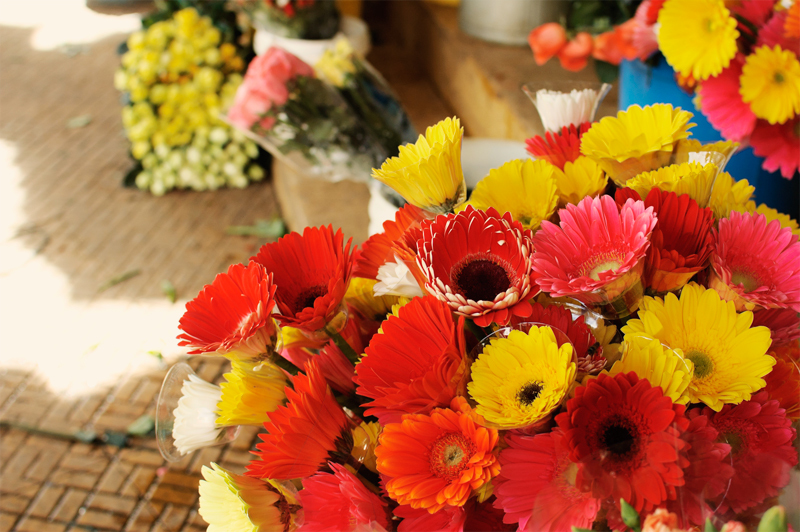 You can find the flowers in Da Lat central market. But the list above contains the stuff I liked the best I can recommend you without feeling guilty. 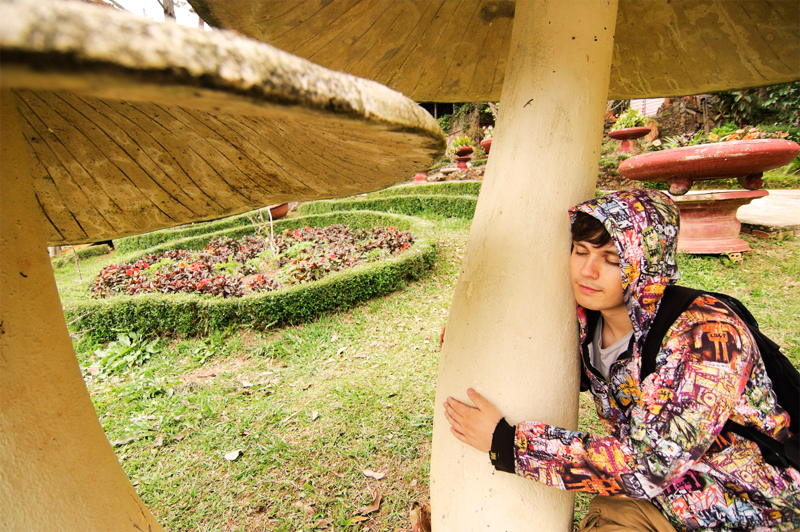 When we came to Da Lat we’ve met a local guy – Anki. He is a student and luckily agreed to help us find the house. After we’d moved to our new home he has helped us numerous times providing useful information. Once again I want to say: thanks man! 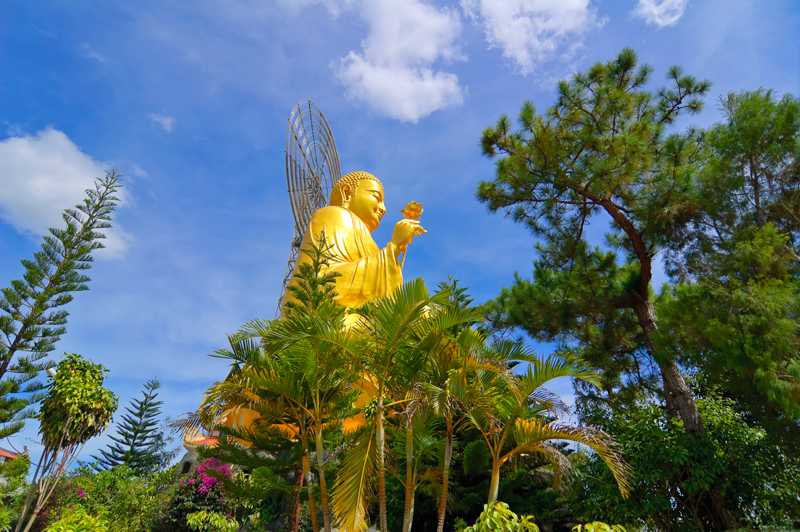 By the way he did not mind me sharing his contacts so if you are thinking of going to Da Lat, just email me and I’ll connect you with Anki.